Home theater technology is always changing—but the memories made in your new home theater will be special forever. 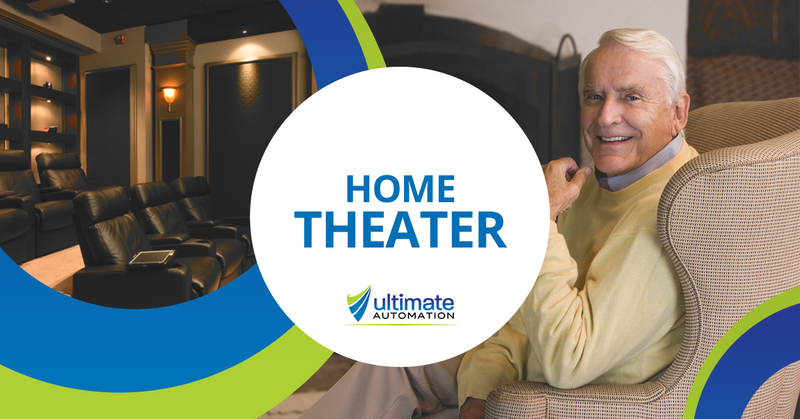 At Ultimate Home Automation, our home theater installation in Indianapolis and the surrounding areas can transform your TV room into a full-fledged home theater space with the best in home video and home audio. Whether it’s for the big game, a season premier, or good old fashioned Friday Family Movie Night, home theaters bring people together. With endless options available for both how to display an image and how to project sound, Ultimate Automation’s trained engineers will listen intently about how you will use your space, and then design a system that fits your needs and your budget. Some of the latest technology brings large video walls into the home—4K and 8K images can be projected onto your wall, and Dolby Atmos sound systems can bring that amazing silver screen feel right into your home. Provide us a little detail on what you are trying to accomplish with your home theater and we will reach out to you, ready to talk ideas. Your home improvement project is something to be excited about—let the Indianapolis home automation pros get the job done right! Request a free consultation today.